This centrally situated Rhodes hotel is just 100 metres from the beach. 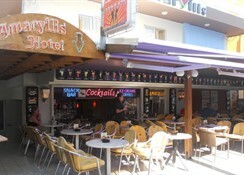 It could not be closer to the nightlife as Amaryllis is located on the most famous Bar Street of Rhodes. 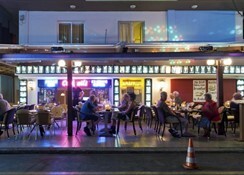 Hotel offers a Resataurant - Bar with Mediterranean and Greek food which is open from 11:00 am, serving snacks until 24:00 also available for Dinner. The reception is available 24 hours each day and can provide assistance with car rentals, tourist information and excursions arrangements. At the Lobby there is also a special toilet for hadiccaped. Guests can have breakfast served at Vassilia Hotel or at the snack bar. Later in the day, finger food, ice creams as well as coffee and drinks are served, while sports fans can enjoy the large-screen satellite TV. The Old Town and the Madraki Harbour are each a 10-minute walk. Amaryllis Hotel is only from 1,5 km from Commercial harbor, while the airport is 15 km away. ""We wish all visitors of our island and our hotel to receive their best memories ever, and we will through accommodation in our hotel as well as our service in Vassilia, our restaurant and bar, do our out most to give you the best service and memories. 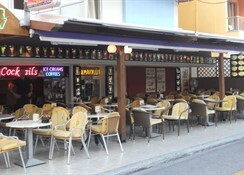 We are located in a quiet area in the heart of Rhodes town. 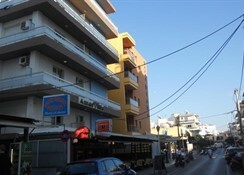 You are from our hotel in walking distance to all parts of Rhodes town. The Old Town, Mandraki Harbour and all famous city sights are all in walking distance. 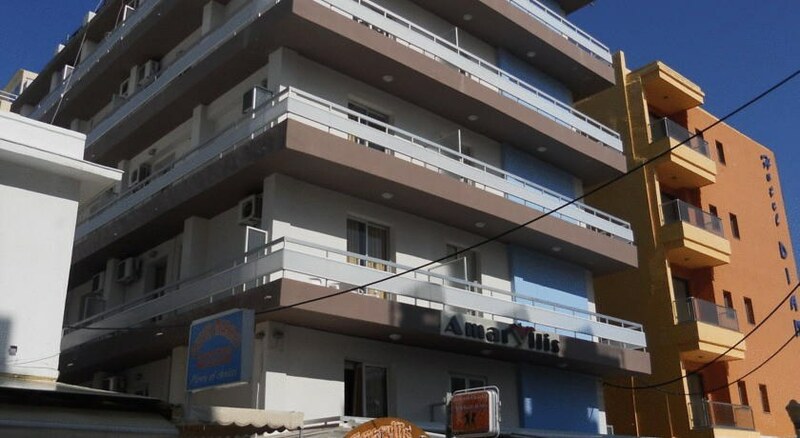 At 100m from the beach and at 10 min walk to the Old Town and Mandraki harbor. In the center of shops for souvenirs, clothes, close to taverns cafes restaurants, pubs and bars. All rooms are modern and comfortable furnished with Free Wifi Internet, Satellite TV,Radio,TV,Telephone, Electric Kettle, MinibarCoffee/ Tea Maker, Refrigerator, City View, Sea View Balcony, Fan, Heating, Air Conditioning, Tiled / Marblefloor, Safety Deposit Box, Bath or Shower, Bathroom, Hairdryer and Toilet. Except all above facilities we have to inform you for our spcial tip. We have invested in the most comfortable sleep for you and this is why we have eduiped the hotel beds with ErgoSoft orthopedic and hypoallergenic latex mattresses. A pillow menu is also available.